This gallery contains my limited attempts at astrophotography. Other than a 4-inch refractor telescope on a German mount with a tracking drive, I do not have any specialized astrophotography equipment. Don't expect anything that looks like it was taken by the Hubble Telescope. 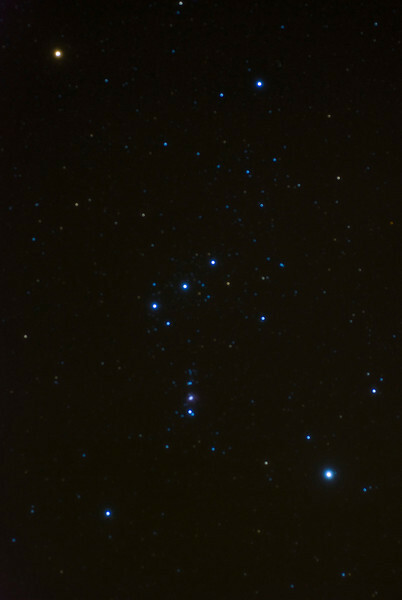 The constellation Orion. Photograph was taken using a 60mm lens with the camera mounted "piggyback" on a refractor telescope using the mounts tracking motor.